While trying to figure out what I wanted to do for lunch today, a random search about John Denver led me to an article about the movie Oh God! Frankly, I don’t remember too much about the movie since it was released in 1977, when I was three. I do know that I’ve watched with my Mom and I think my Grandpa as well. My main impression at the time was “Hey, isn’t that the guy from the Muppets and the really funny old guy that makes Grandpa laugh all the time? For those who haven’t seen the movie, the basic premise is this. 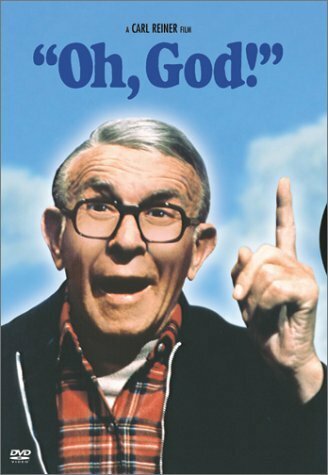 God (played by George Burns, in the form of a kindly old man, selects an assistant supermarket manager (played by John Denver) to be his spokesman to the world. The movie covers the skepticism that Denver faces from the media, his wife, and really the entire world. It can work. Don’t hurt each other. If it’s hard to have faith in me, maybe it will help to know that I have faith in you. All my life I’ve been told that I have to have faith in God. Have faith that things will always be better. Have faith in yourself. Yada Yada Yada. But isn’t nice to know, or at least to think from time to time, that something or someone else will have faith in you too. The working part of faith isn’t always a one way street. Faith can work both ways and empower everyone involved with it. So here’s to us, who from time to time have a hard time with faith. Here’s helping us remember that He has faith in us too. May we not let him, or each other down.